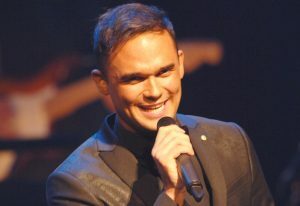 POP Idol runner-up from 2002 Gareth Gates will take audiences on a whistle stop tour from the heart of London’s theatre land to the glitz and glamour of Broadway in Mad about the Musicals. The Bradford-born lad, now 31, will lead the cast as they sing their favourite numbers from the pen of Rodgers & Hammerstein, Kander & Ebb, Andrew Lloyd Webber and Boublil & Schonberg… with a touch of top-class choreography, stunning costumes and a spectacular light show all thrown in for good measure. Songs will range from the bittersweet All I Ask of You to the powerful One Day More. Gareth, who sold five million records worldwide after losing out in ITV’s Pop Idol final to Will Young, is starring under the direction of Michael Courtney, who has produced and directed the UK tours of Waterloo, Shakin’ All Over, Its D’Lovely, A Night Of Musicals and Love Changes Everything. Mad About The Musicals makes it to Camberley Theatre on Thursday (26 May) and G Live in Guildford next Thursday (2 June).